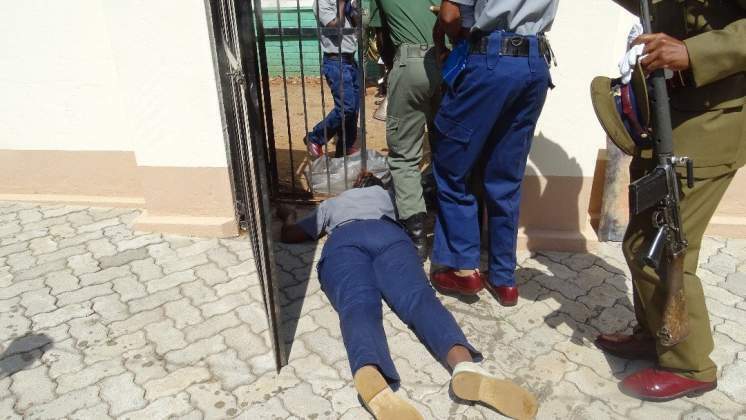 Two female police officers and two judiciary officials in Bulawayo collapsed as a result of tear smoke while scores of people including one elderly woman walking near the High Court were injured during the #ShutdownZimbabwe melee today. The anti-riot police in Bulawayo throwing teargas which protesters are alleging is made for elephants into people's homes during the protests which turned violent. The police had torrid time as they tried to control disgruntled citizens who came out in their numbers to vent out their frustration.